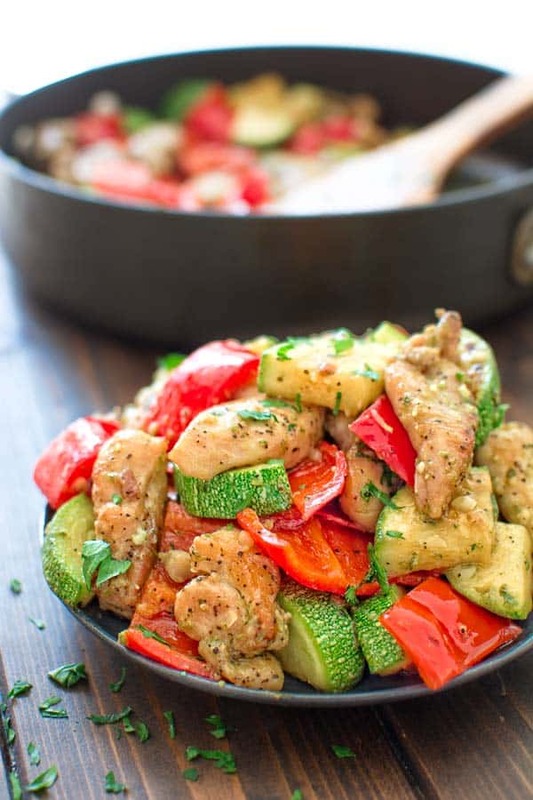 This Quick Pesto Chicken and Veggies is an easy, delicious, and light, 30-minute dish that everyone will love! I am in love with pesto sauce. 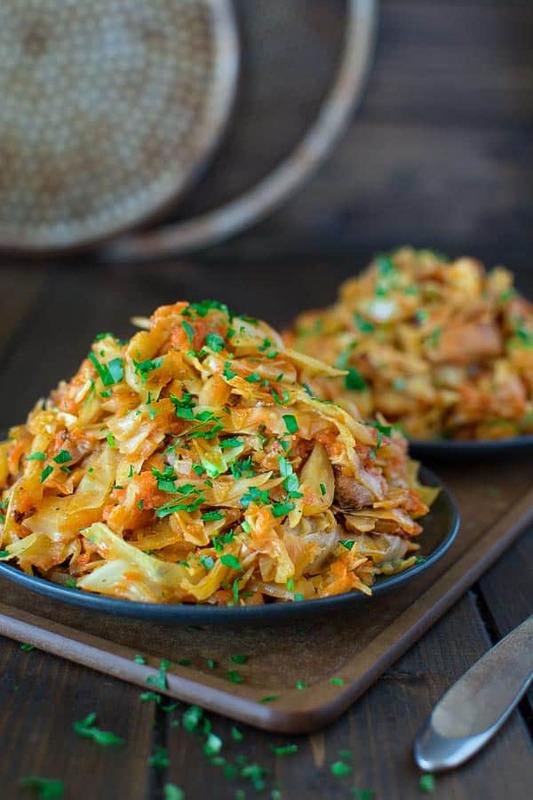 It is just so flavorful that I could eat it with everything! Of course, I mean the real, homemade stuff. 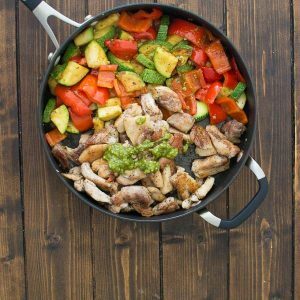 If you happen to have some on hand, try this delicious Quick Pesto Chicken with Veggies, and you won’t regret it. I am using boneless, skinless chicken thighs is this recipe, because I love how succulent they are. You may choose to use chicken breast for a slightly healthier option. When it comes to pesto sauce, I wouldn’t recommend using the store-bought kind. No brand so far has been able to make pesto that tastes like the real stuff. It is very easy to make your own pesto, so make sure you get the ingredients and give it a try. 1. 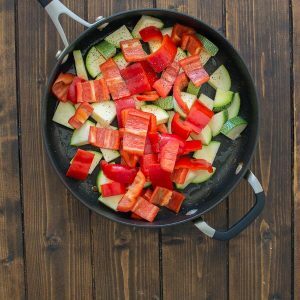 Heat the olive oil in a large skillet on medium-high heat. Add the chicken and fry it for about 5-7 minutes, until golden and cooked through. Season with salt and pepper. 2. 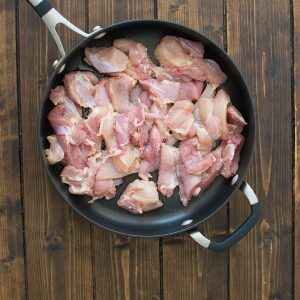 Remove the chicken from the skillet and set aside. 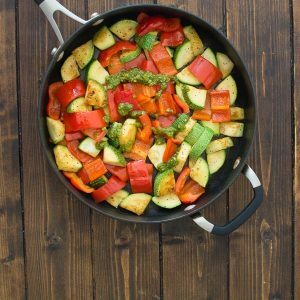 In the same pan, add the zucchini and peppers and fry for another 5 minutes. (Add a little oil, if needed). 3. Add 1 tbsp. of pesto to the veggies and mix well. 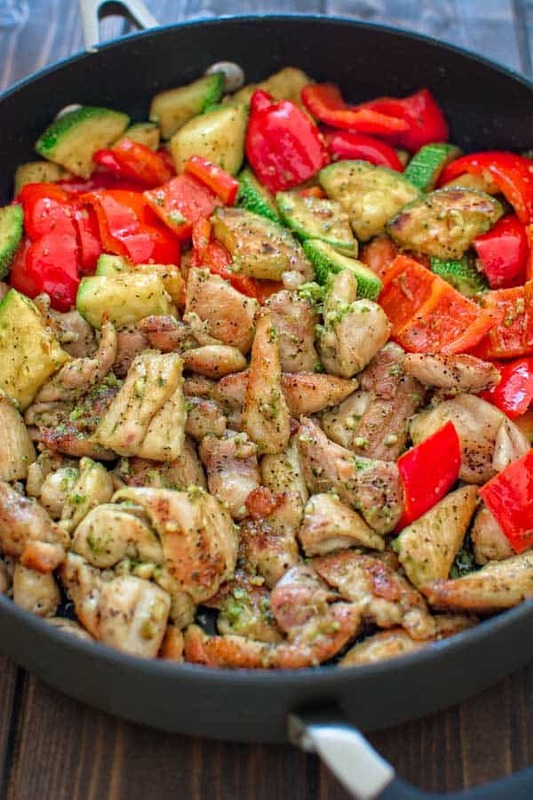 Move the veggies to the side, and bring the chicken back to the pan. Add the remaining 1 tbsp. of pesto to the chicken and mix. 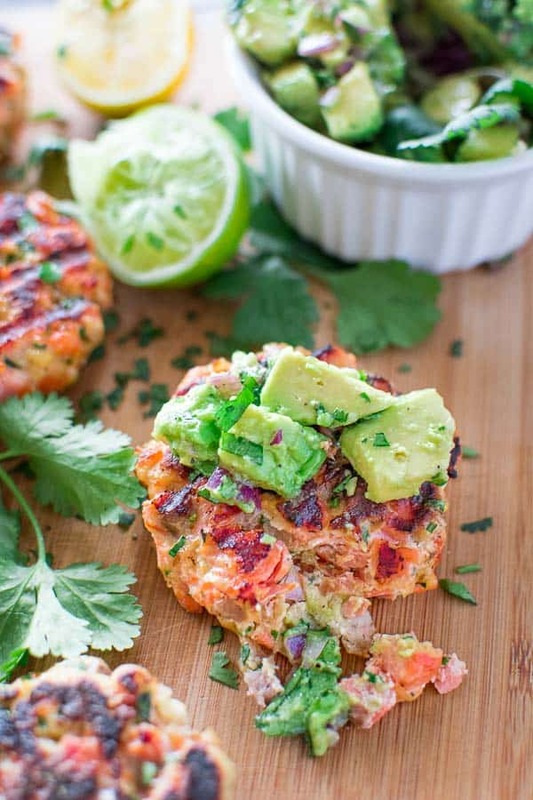 Garnish with chopped parsley. 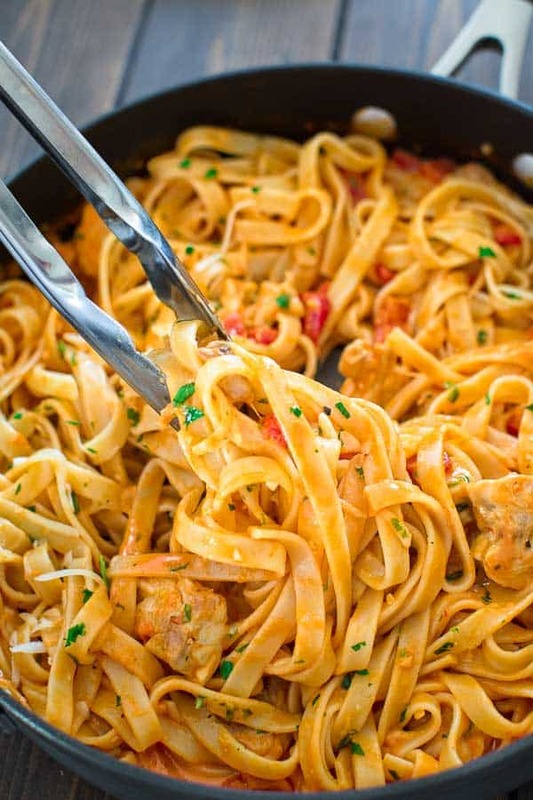 Serve this dish with some rice, pasta or mashed potatoes. Feel free to add more pesto sauce if you’d like. 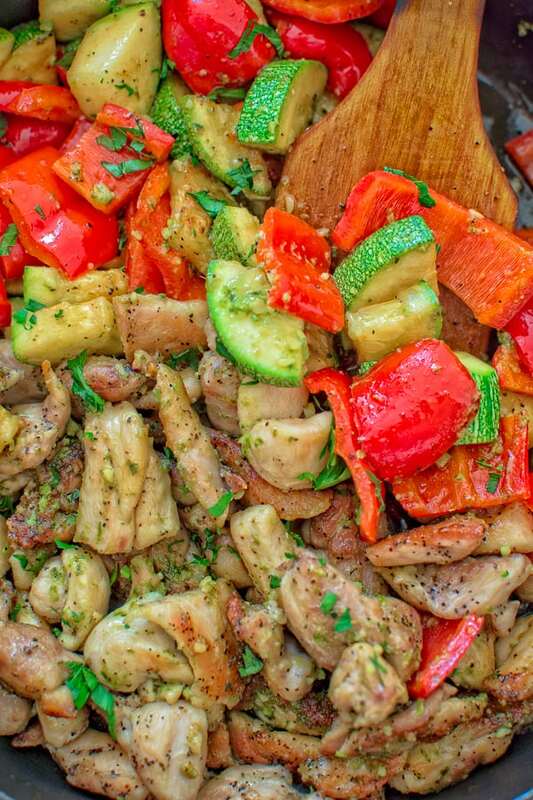 Enjoy this Quick Pesto Chicken and Veggies, friends! 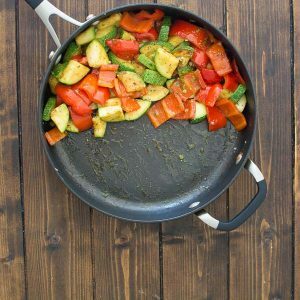 Heat the olive oil in a large skillet on medium-high heat. Add the chicken and fry it for about 5-7 minutes, until golden and cooked through. Season with salt and pepper. 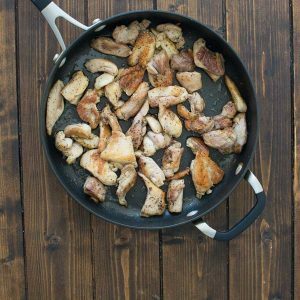 Remove the chicken from the skillet and set aside. 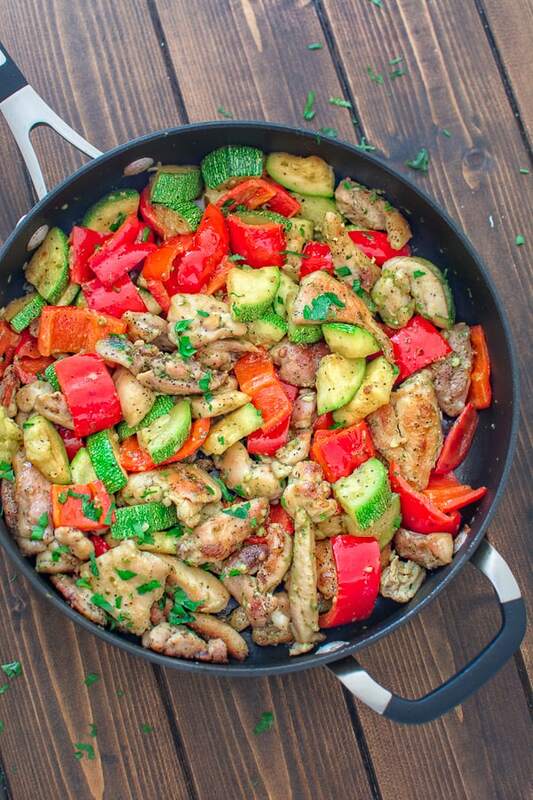 In the same pan, add the zucchini and peppers and fry for another 5 minutes. (Add a little oil, if needed). Add 1 tbsp. of pesto to the veggies and mix well. Move the veggies to the side, and bring the chicken back to the pan. Add the remaining 1 tbsp. of pesto to the chicken and mix. Garnish with chopped parsley.